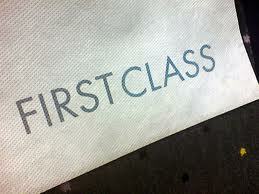 In a blog post last month we highlighted East Coast Trains' £25 first class promotion. To coincide with a flat £25 return first class fare, the promotion highlighted 25 reasons why people should try first class with the operator. A gentleman called David Giles took up their offer, and has since written an insightful and humorous account of the difference between the campaign's promises and the operator's delivery. Although the promotion has initially been highly successful for the operator, it will be interesting to see if the issues highlighted in David's blog will affect repeat journeys of the new recruits. As East Coast is finding out, 25 things is a lot to promise customers - let alone deliver it.